Forbes Africa 30 under 30 list hits the shelves this weekend, revealing the 30 most promising entrepreneurs from around the continent, across various sectors. These are the billionaires of tomorrow. The list was edited by Ancillar Mangena, a Forbes Africa journalist and an under 30 herself. She spent months looking for the best, this continent has to offer. Research coupled with nominations from readers brought the number to 250 potential under 30s. The team worked for weeks, verifying and investigating, to whittle it down. The team favoured entrepreneurs with fresh ideas and took into account their business size, location, potential, struggles and determination. A panel of judges then debated the final 30. Nadav Ossendryver, Siya Beyile, Inga Gubeka, Emmanuel Bonoko and Mogau Seshoene represent South Africa. Nkosana Mazibisa is the only Zimbabwean on the list, Momarr Mass Taal representing Gambia, Hanta Tiana Ranaivo Rajaonarisoa for Madagascar, Vital Sounouvou for Benin, Kelvin Doe for Sierra Leone, William Elong for Cameroon and Fatoumata BA for Senegal. Nigerians on the list include Uneku Atawodi and Obinwanne Okeke; and Kenyans include Barclay Okari and Joel Macharia. Forbes Africa will have daily Twitter Q&A sessions with the class of 2016. 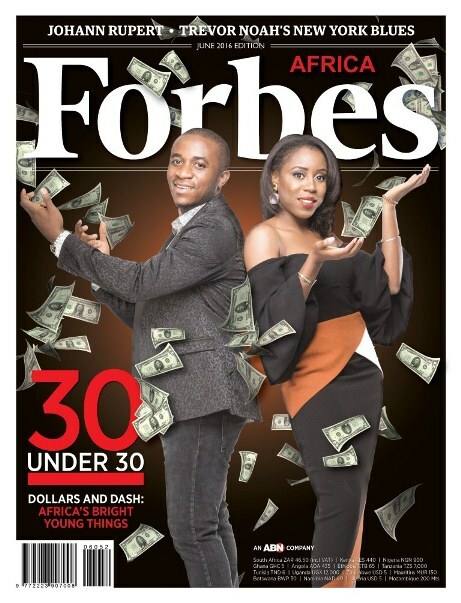 Follow @forbesafrica #30under30, @ancillarmangena and @chrisbishopza for more on Forbes Africa and the 30 under 30 list. 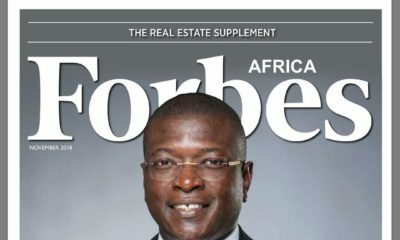 You may not know many of their names now, but, in 20 years’ time, they could be on the cover of Forbes Africa. Lovely! Congrats to the Forbes class of 2016. Side note: Maybe its me but this cover reeks of pangolo music video visuals with money throw around. Could have been classier I guess. Lord, I want to be in this list next year. bless my hustle. Inspiring stories! Nice to see different careers recognise in Africa. More ideas, more companies are what we need. Our generation 18-30 is going to be the change in Nigeria. We have moved beyond our parents dependence on government jobs and politics. Me, I no know the other people but you see Uneku Atawodi? I know am and her people. Google her Dad “Air Vice Marshall Salihu Atawodi”. After that come and explain to me why her name is on 30 under 30. What a mean thing to say, if you have nothing good to say just say nothing at all. The girl’s independent success must now always be tied to her relative? Imagine if everyone went around having to pay for a relative’s accused sin, life won’t be very fair. Try to encourage not tear down. But also try to properly read before commenting sha! The list is not about money but future impact and contribution to society! The entrepreneurs on that list are ALL inspiring, including the ones with NO Fathers! Well done for covering people from different walks of life, and we are proud of our Nigerians! Very inspiring. Well done to our Nigerians on the cover! 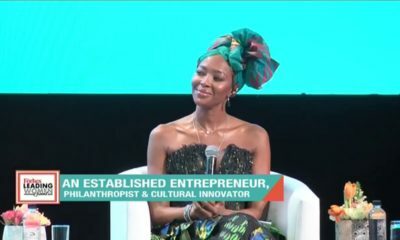 Lol how is fatoumata ba an entrepreneur ? Obinwanne is sitting ON TOP!!! You ‘re elder brother, Chike called my attention to your achievement. Just a few years ago you both came by my house before you travelled to SA for your first degree. Wow!!! Your mom would be so proud of you….and your Dad sure would be where he is in the great beyond.